Services - Alco Industries, Inc. 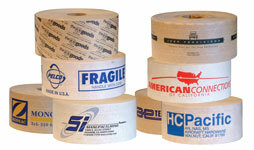 Many of our label and tape products are manufactured in house from jumbo master logs. Our in-house converting of these products gives us the ability to deliver custom products to our distributors faster than any other master-distributor. In-House Printing of Stock & Custom Labels! 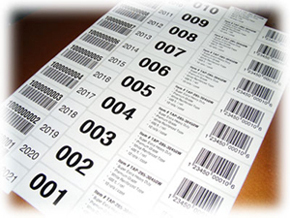 One of our strengths is our stock & custom label product line. All these quality products are converted in-house and printed on state of the art presses. We are confident that you will agree that the quality and competitive prices make our label product line the best value in the marketplace. In-House Printing of Custom Printed Packaging Tapes! Whether you are looking for stock imprints or custom printed tapes we offer both in pressure sensitive tapes with a hot melt adhesive and water activated paper-packaging tapes; reinforced or non-reinforced. 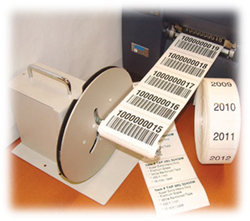 We print Barcode, Sequential Barcode, Product Identification, & Sequential Labels at any quantity. With emphasis on quality and excellent service, our friendly and knowledgeable graphics team can handle any of your graphics needs for all your custom labels and printed tapes. We repair what we sell and guarantee the work. Copyright ©, Alco Industries, Inc.